With so many options available, choosing a custom drapery or curtain style for your home can seem a bit overwhelming. 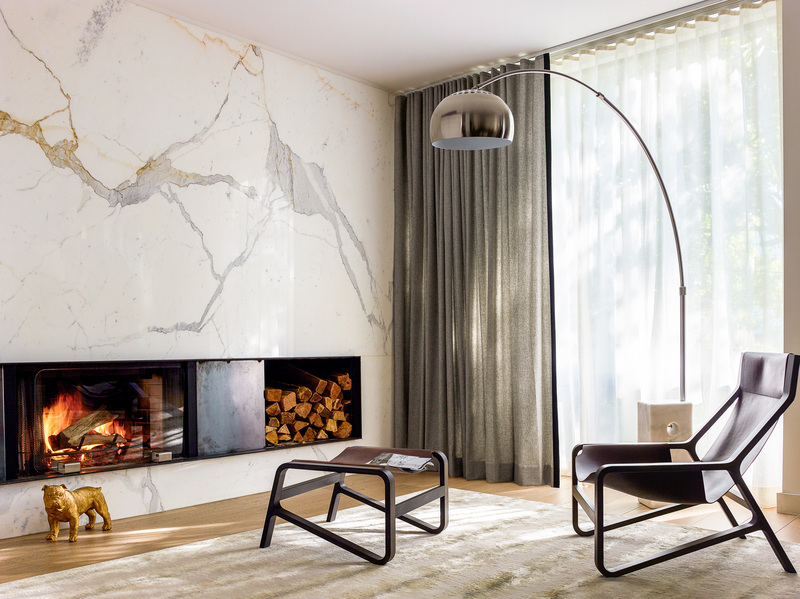 When it comes to weighing the importance of functionality or aesthetics, there are many decisions to consider. Here at The Shade Store, we have eight distinct drapery styles to select from, each with its own design and list of benefits. Luckily, we are here to help with our complete guide to understanding different types of drapery and how to choose a drapery style. Keep reading to find out exactly which drapery panel style is perfect for you! 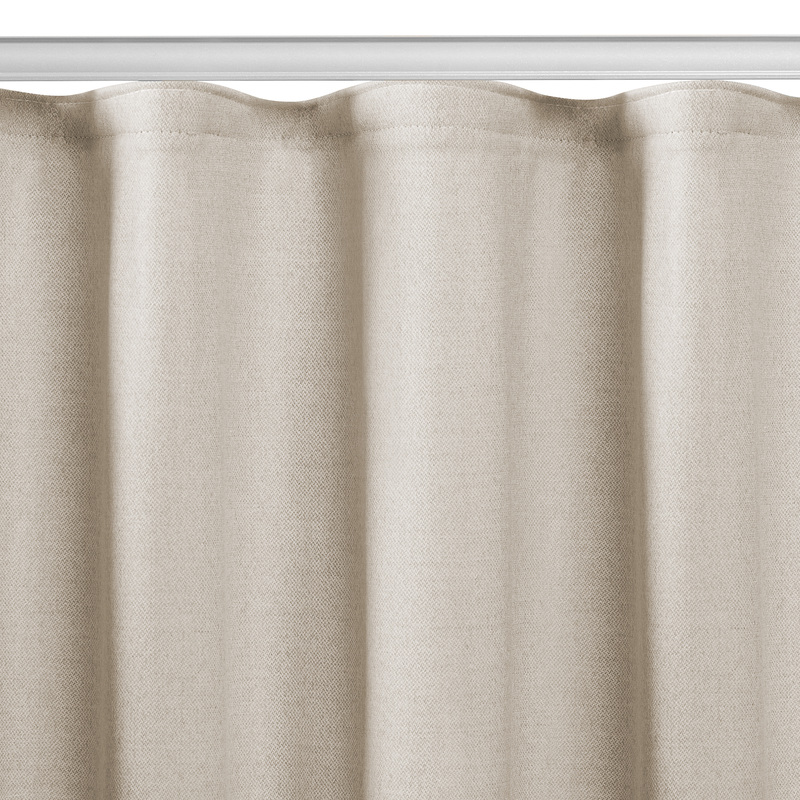 Ripple Fold Drapery is one of our best-selling curtain styles. It is sleek and modern, but also very functional and easy to operate. This drapery design is a great selection if you plan on opening and closing your drapes every day, as it glides effortlessly along a track. It is a particularly popular choice for sliding glass doors because of its ease of movement along the track. We are also seeing a layering trend with Ripple Fold Drapery, where sheer materials are paired together or with a heavier drape, as shown in the image above. This technique adds depth and dimension to your room, improving the visual appeal of the space. 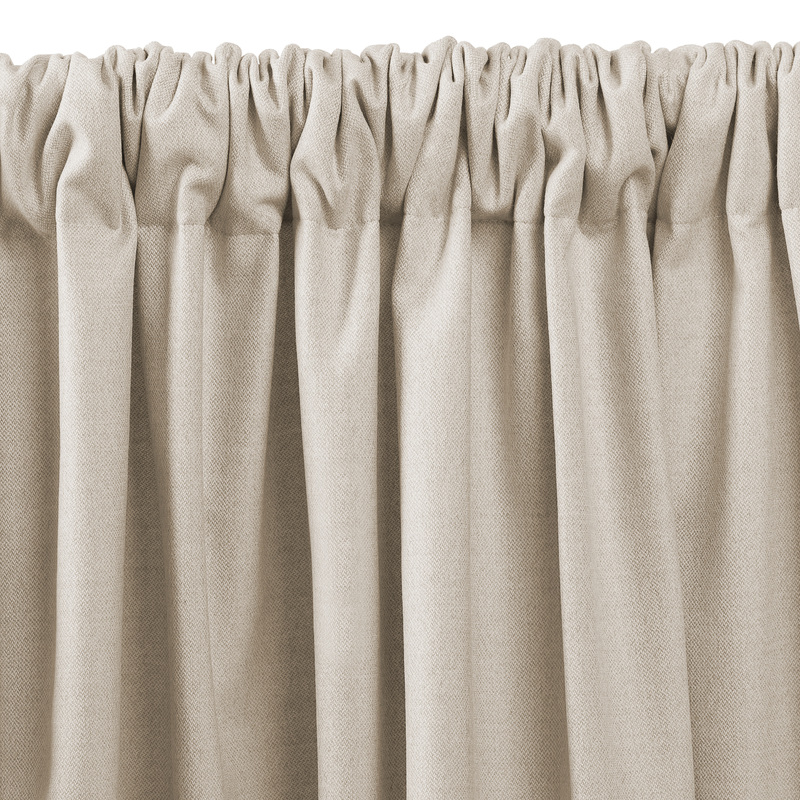 Tailored Pleat Drapery is another best-selling drapery design here at The Shade Store. It is fuller, and has an understated elegance. 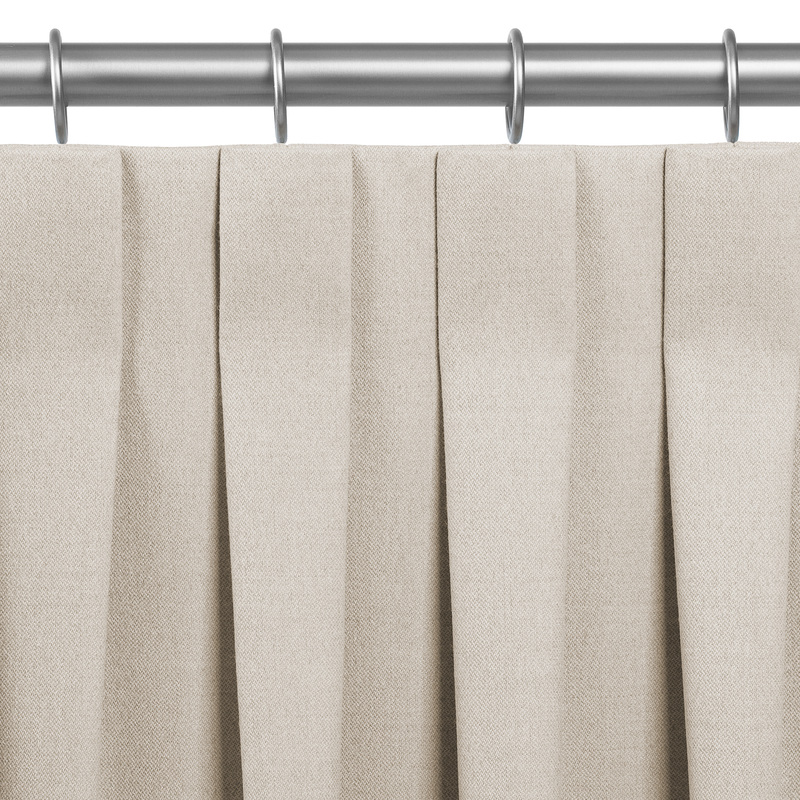 Known for its waterfall pleat design, the pleats are held stiff with a buckram stiffener, allowing this type of drapery to remain very functional and easy-to-operate. Similar to the Ripple Fold style, our Tailored Pleat Drapery is available in many different colors, patterns and materials. If you are looking for a lighter material, linen tailored pleat drapery may be a good solution for you. Alternatively, if you need something more substantial to help block a drafty window, our wool material selections are worth consideration. Our Pinch Pleat Drapery is classically beautiful. 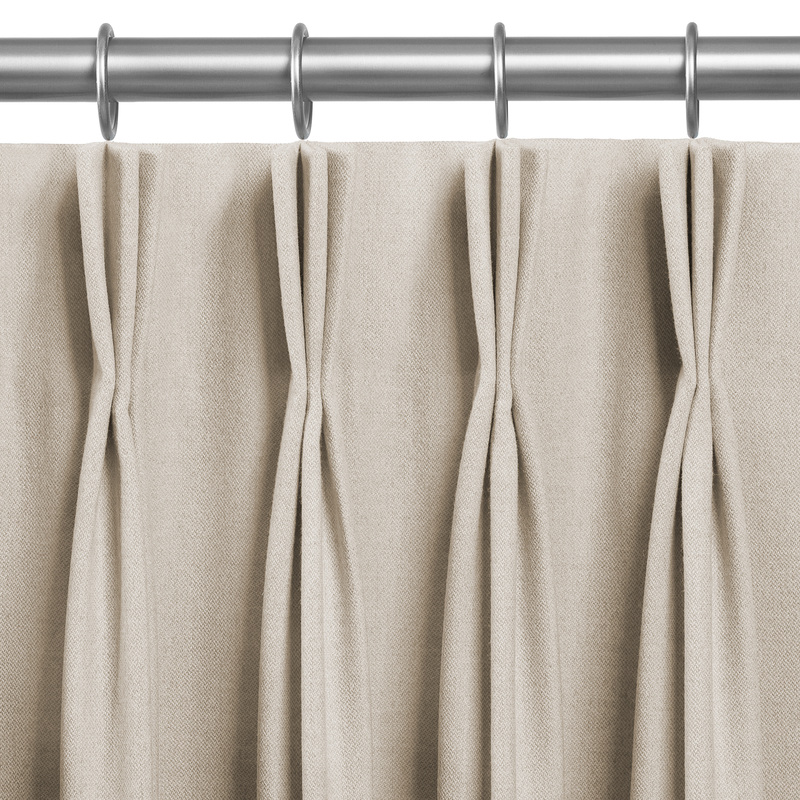 The pleats pinch 4” from the top of the drapes, creating a simple but stunning shape. Similar to our Tailored Pleat, this drapery style is held stiff with buckram fabric, making it easy-to-operate and functional. A great example of our pinch pleat drapery can be found in our photo gallery. As shown in the gallery, while the pinch pleat drapery style is more traditional, it is easily made contemporary with a bold pattern choice. Inverted Pleat Drapery is a unique curtain design in that while neatly pleated, it still gives off a casual, relaxed vibe. This drapery style is better suited for decoration; it is not ideal for frequent use. Because the inverted pleat drapery style is not recommended for frequent opening and closing, we suggest placing it with a roller shade if you need to control light. Goblet Drapery has a very sophisticated shape, with large goblet pleats along the top of the panels. Similar to the inverted pleat drapery style, the goblet drape style is best for a decorative purpose, and is not ideal for frequent use. Goblet Drapery has a large stack, which means that when open, more fabric will cover your windows. 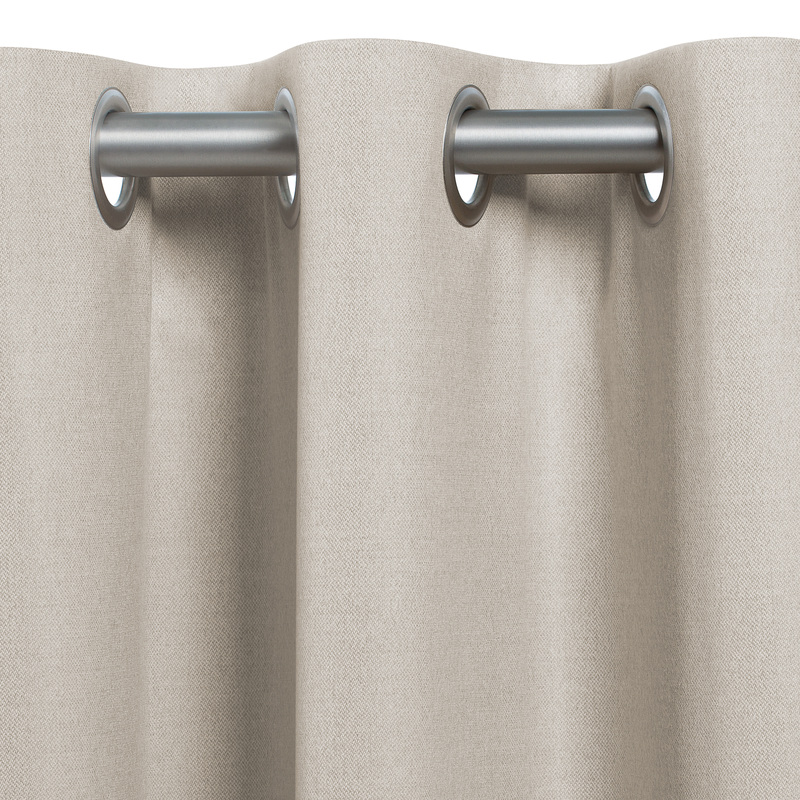 Grommet Drapery, as its name suggests, is hung from a rod via grommet rings. In addition to the many material and color selections at your fingertips, our grommets come in five designer finishes, including chrome, satin nickel, polished brass, antique brass, and black. Often, a grommet color is matched to the drapery rod and hardware. This drapery style can have a dramatic appearance, thanks to its deep folds. It is primarily a decorative curtain style, and not ideal for frequent use. It is important to note that the fabric of the grommet drapery measures one inch above the actual rod, due to the grommet inlay within the fabric. Our Rod Pocket style is a very classic, casual, and traditional choice. The fullness of this drapery design is created by the gathered fabric near the rod pocket. 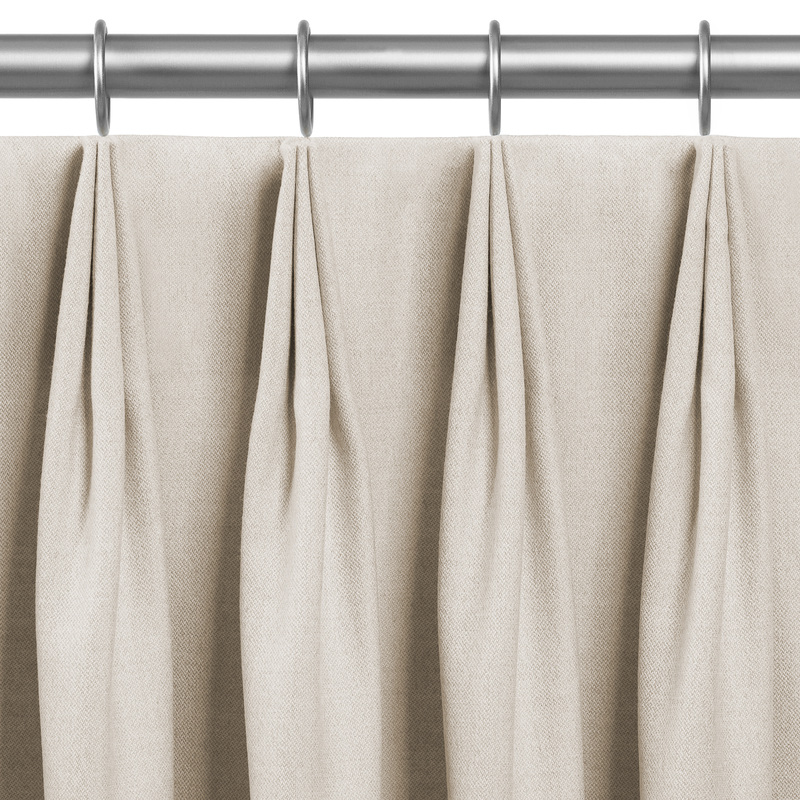 This style of drapery works best as stationary panels, as they are not best for everyday use. The pocket for the drapery rod is able to accommodate up to a two inch diameter pole. In contrast to the goblet and inverted pleat drapery styles, the rod pocket style has a medium stack. Our Cubicle Drapery is a great option if you’re looking something a little more budget-friendly. This style is incredibly versatile and functional, making it perfect for everyday use. 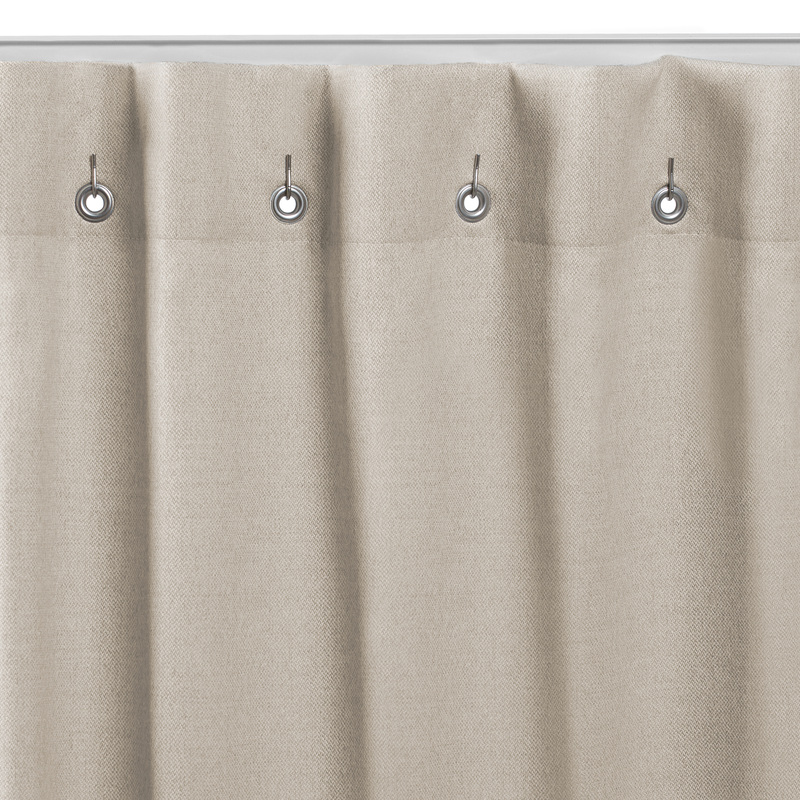 Small grommets attach to hook carriers, allowing the cubicle curtain to glide easily along its track. The cubicle drapery style has our most minimal stack. 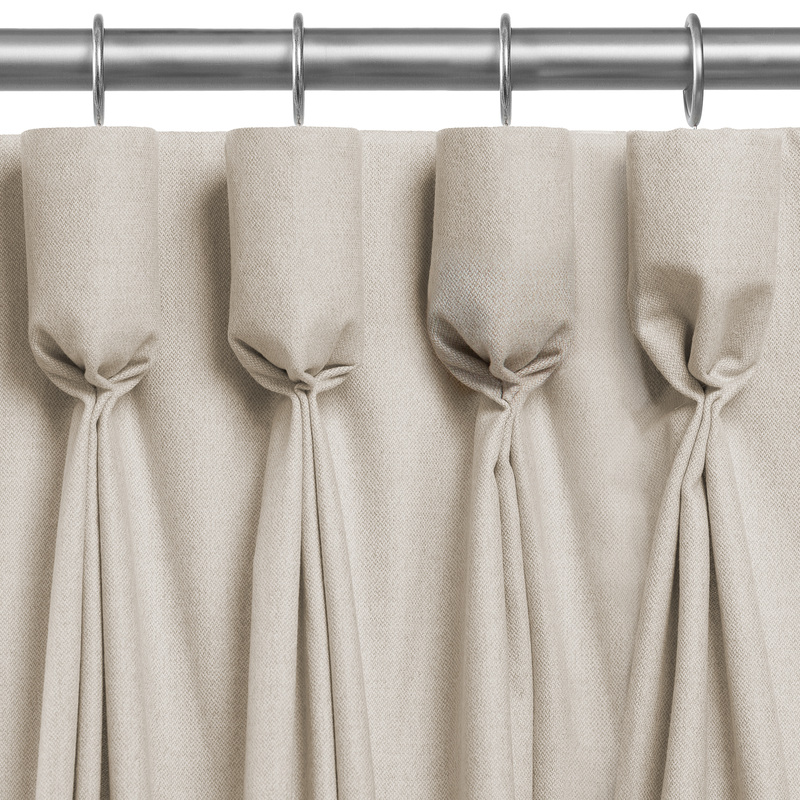 Want to see how each of the drapery styles look installed? View our inspirational drapery style photo gallery here! Know exactly which drapery panel style you want or still have some questions? Either way, our expert design consultants are here to help. Visit one of our 55+ nationwide window treatment showrooms, give us a call, or email us at design@theshadestore.com to get started today!